Germany – A lot of hybrid effect devices are cavorting on the market. So far, these have been combinations of acceptable single effects, which made a satisfactory mixture. Now, these effects impress like never before, as their fine tuning is better than ever – and especially the integrated lasers are really convincing. Just on time prior to the Prolight+Sound 2015, Eurolite now brings three effect devices on the market, which combine well-established LED effects with a laser class M2. 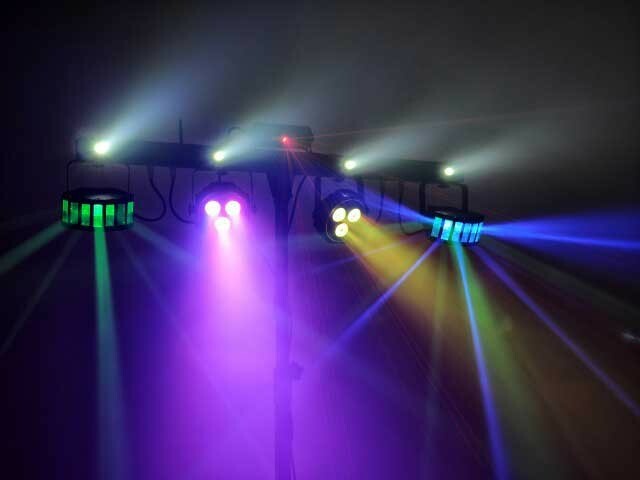 That not only saves installation time, but provides perfect use of space – and a colorful light show of course, even at small events. There is a choice of a KLS, a hybrid flower effect and an LED bar. 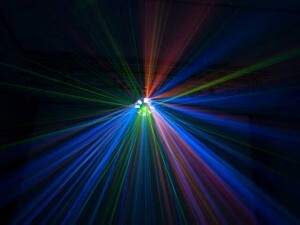 This representative of the family offers a nearly complete club lighting on one bar: Two derby effects, four strobes and two slim spots share the bar with the laser. The KLS comes pre-assembled in a transport bag. Almost as well equipped is the FE-1500 Hybrid Laser Flower. The classic flower effect has been fitted with eight strobe LEDs and a laser and now appears as a colorful bouquet of lights. The third effect is the LED Laser Bar, offering 190 LEDs. Located in the centre of the colour changing bar is a laser with the colours red and green. All three effects can be controlled by DMX. 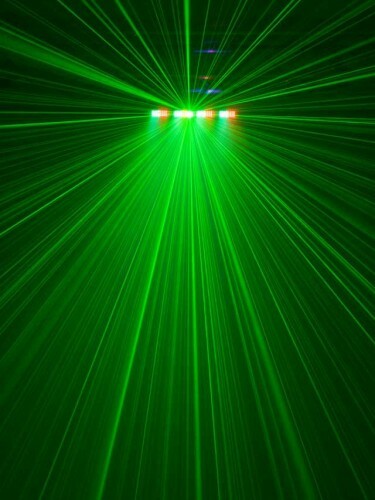 The LED Laser Bar additionally features an infrared remote control – the KLS even comes with a remote control and wireless foot switch. All three devices can be installed quickly and bring a party mood even into the smallest locations. This makes them the perfect devices for small rooms as well as for mobile DJs and solo entertainers. The effects can be seen at the Prolight+Sound 2015 at the booth of Steinigke Showtechnic (hall 11.0. booth A17).